Paraclete, Comforter (L. Consolator ; Greek parakletos ), an appellation of the Holy Ghost. The Greek word which, as a designation of the Holy Ghost at least, occurs only in St. John ( 14:16, 26 ; 15:26 ; 16:7 ), has been variously translated "advocate", "intercessor", "teacher, "helper", "comforter". This last rendering, though at variance with the passive form of the Greek, is justified by the Hellenistic usage, a number of ancient versions, patristic and liturgical authority, and the evident needs of the Johannine context. According to St. John the mission of the Paraclete is to abide with the disciples after Jesus has withdrawn His visible presence from them; to inwardly bring home to them the teaching externally given by Christ and thus to stand as a witness to the doctrine and work of the Saviour. There is no reason for limiting to the Apostles themselves the comforting influence of the Paraclete as promised in the Gospel ( Matthew 10:19 ; Mark 13:11 ; Luke 12:11 , 21:14 ) and described in Acts 2 . In the above declaration of Christ, Cardinal Manning rightly sees a new dispensation, that of the Spirit of God, the Sanctifier. 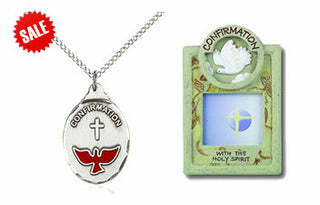 The Paraclete comforts the Church by guaranteeing her inerrancy and fostering her sanctity (see CHURCH). He comforts each individual soul in many ways. Says St. Bernard (Parvi Sermones): "De Spiritu Sancto testatur Scriptura quia procedit, spirat, inhabitat, replet, glorificat. Procedendo praedestinat; spirando vocat quos praedestinavit; inhabitando justificat quos vocavit; replendo accumulat meritis quos justificavit; glorificando ditat proemiis quos accumulavit meritis". Every salutary condition, power, and action, in fact the whole range of our salvation, comes within the Comforter's mission. 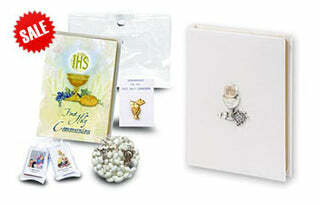 Its extraordinary effects are styled gifts, fruits, beatitudes. Its ordinary working is sanctification with all it entails, habitual grace, infused virtues, adoption, and the right to the celestial inheritance. 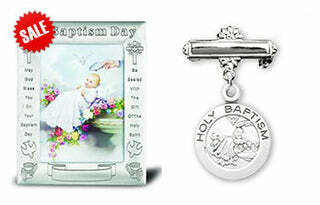 "The charity of God ", says St. Paul ( Romans 5:5 ), "is poured forth in our hearts by the Holy Ghost who is give to us." In that passage the Paraclete is both the giver and the gift: the giver of grace ( donum creatum ) and the gift of the Father and the Son ( donum increatum ). St. Paul teaches repeatedly that the Holy Ghost dwells in us ( Romans 8:9, 11 ; 1 Corinthians 3:16 ). That indwelling of the Paraclete in the justified soul is not to be understood as though it were the exclusive work of the third Person nor as though it constituted the formalis causa of our justification. The soul, inwardly renovated by habitual grace, becomes the habitation of the three Persons of the Blessed Trinity ( John 14:23 ), yet that indwelling is rightly appropriated to the third Person who is the Spirit of Love. As to the mode and explanation of the Holy Ghost's inhabitation in the soul of the just, Catholic theologians are not agreed. St. Thomas (I, Q. XLIII, a. 3) proposes the rather vague and unsatisfactory simile "sicut cognitum in cognoscente et amatum in amante". To Oberdoffer it is an ever acting force, maintaining and unfolding habitual grace in us. Verani takes it to be merely objective presence, in the sense that the justified soul is the object of a special solicitude and choice love from the Paraclete. Forget, and in this he pretends to bring out the true thought of St. Thomas, suggests a sort of mystical and quasi-experimental union of the soul with the Paraclete, differing in degree but not in kind from the intuitive vision and beatific love of the elect. In so difficult a matter, we can only revert to the words of St. Paul ( Romans 8:15 ): "You have received the spirit of adoption whereby we cry: Abba (Father)." The mission of the Paraclete detracts nothing from the mission of Christ. In heaven Christ remains our parakletos or advocate ( 1 John 2:1 ). In this world, He is with us even to the consummation of the world ( Matthew 28:20 ), but He is with us through His Spirit of whom He says : "I will send Him to you. He shall glorify me; because He shall receive of mine, and shall shew it to you" ( John 16:7, 14 ). See HOLY GHOST.